An appetizer perfect for all you oyster lovers out there. Serve these crispy appetizers with a spicy remoulade sauce. 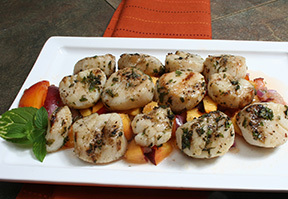 This same recipe can be used for scallops, too. Beat eggs with seasonings, add water and mix. 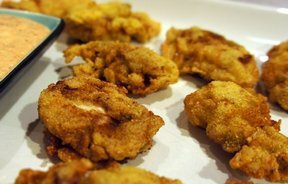 Dip oysters into egg mixture, then into breadcrumbs. Let stand 5 minutes before frying. Fry in hot oil (375°) until brown. Serve at once. 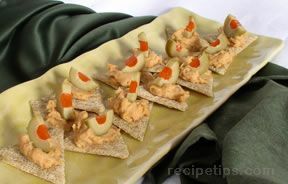 "I used saltine crackers that I had crushed up really finely. 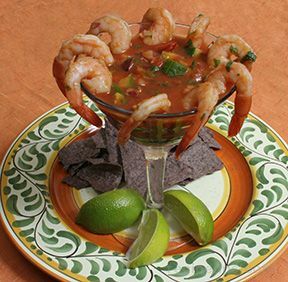 Use peanut oil to fry them in and be sure to make a dipping sauce. I like a spicy mayo and horseradish sauce with these."